Achituv, Y. and Dubinsky, Z. (1990) Evolution and zoogeography of coral reefs. In Dubinsky, Z. (Ed,): Ecosystems of the World Vol. 25. Coral Reefs. Elsevier, Amsterdam, 550 pp. Antonclli, P.L.. Bradbury, R.H., Hammond, L.S., Ormond, R.G.F. and Reichelt, R E. (1990) The Acanthaster phenomenon: A modelling approach, Rapporteur's report. In Bradbury, R.H. (Ed. ): Acanthaster and the Coral Reef: A Theoretical Perspective Springer, Berlin, pp. 329-338. Battey, J.F. and Porter, J.W. (1988) Photoadaptation as whole organism response in Montastrea annularis. Proceedings of the 6th international Coral Reef Symposium. 6th International Coral Reef Symposium Executive Committee, Townsville, Australia, Vol. 3, pp. 79-87. Bell, P.R.F. (1992) Eutrophication and coral reefs-some examples in the Great Barrier Reef lagoon. Water Res. 26: 553 568. Bellwood, D.R. (1994) A phylogenetic study of the parrotfishes family Scaridae (Pisces: Labroidei), with a revision of genera. Rec. Aust. Mus. Suppl. 20: 1-84. Bellwood, D.R. and C'hoat, J.H. (1990) A functional analysis of grazing in parrotfishes (family Scaridae): The ecological implications. Environ. Biol. Fishes 28: 189 214. Benzie, J.A.H. (1993) The genetics of giant clams: An overview. In Fitt, W.K. (Ed. ): The Biology and Mariculture of Giant Clams Australian Center for International Agricultural Research, Proceedings No. 47, ACIAR, Canberra, pp. 7-13. Benzie, J.A.H. (1994) Patterns of genetic variation in the Great Barrier Reef, in Beaumont, A. (Ed. ): Genetics and Evolution of Aquatic Organisms Chapman and Hall, London, pp. 67-79. Birkeland, C. (1985) Ecological interactions between mangroves, seagrass beds, and coral reefs. UNEP Regional Seas Reports and Studies, Paris, No. 73, pp. 1-26. Birkeland, C. (Ed.) (1987) Comparison between Atlantic and Pacific tropical marine coastal ecosystems: Community structure, ecological processes, and productivity. UNESCO Reports in Marine Science Paris, No. 46, 262 pp. Birkeland, C. (1989a) Geographic comparisons of coral-reef community processes. Proceedings of the 6th International Coral Reef Symposium. 6th International Coral Reef Symposium Executive Committee, Townsville, Australia, Vol. 1, pp. 211-220. Birkeland, C. (1989b) The influence of echinoderms on coral-reef communities. In Jangou.x, M. and Lawrence, J.M. (Eds): Echinoderm Studies No. 3. A.A. Balkema, Rotterdam, pp. 1-79. Black, K.P. (1993) The relative importance of local retention and inter-reefal dispersal of neutrally buoyant material on coral reefs. Coral Reefs 12: 43-53. Bohkle, J.E. and Chaplin, C-C.G. (1968) Fishes of the Bahamas and Adjacent Waters. Livingston, Philadelphia, 771 pp. Borman, F.H. and Likens, G.E. (1979) Pattern and Process in a Forested Ecosystem Springer, New York. Briggs, J.C. (1994) Species diversity: Land and sea. Syst. Biol. 43:. 130-135. Brown, B.E. (1987) Worldwide death of corals: Natural cyclic events or man-made pollution? Mar. Pollut. Bull. 18: 9-13. Brown, B.E. and Ogden, J.C. (1992) Coral bleaching. Sci. Am. 268: 64-70. Buddemeier, R.W. and Fautin. D.G. (1993) Coral bleaching as an adaptive mechanism. Bioscience 43: 320-326. Buddemeier, R.W. and Hopley, D. (1988) Turn-ons and turn-offs: Causes and mechanisms of initiation and termination of coral reef growth. Proceedings of the 6th International Coral Reef Symposium. 6th International Coral Reef Symposium Executive Committee, Townsville, Australia, Vol. 1, pp. 253-261. Butman. C.A. and Carlton, J.T. (¡993) Biological Diversity in Marine Systems (BioMar): A Proposed National Research Initiative. National Science Foundation, Washington, DC, 19 pp. Carpenter, R,C. (1990) Mass mortality of Diadema antillarum. 1. Long-term effects on sea urchin population-dynamics and coral reef algal communities. Mar, Biol. 104: 67-77. Chalker, B.E. (1983) Calcification by corals and other animals on the reef. In Barnes, D.J. (Ed. ): Perspectives on Coral Reefs Brian Clouston, Manuka, Australia, pp. 29-45. Charpy-Roubard, C.J., Charpy, L, and Lemasson, L. (1988) Benthic and planktonic primary production of an open atoll lagoon (Tikehau, French Polynesia). Proceedings of the 6th International Coral Reef Symposium. 6th International Coral Reef Symposium Executive Committee, Townsville, Australia, Vol. 2, pp. 581-586. Connell, J.H. (1978) Diversity in tropical rainforests and coral reefs. Science 199: 1302-1310. Cortés J. (1990) The coral reefs of Golfo Dulce, Costa Rica: Distribution, and community structure. A toll. Res. Bull. 334: 1-37. Cortés, J, and Risk, M. (1985) A reef under siltation stress: Cahuita, Costa Rica. Bull. Mar. Sci 36: 339-356. Crossland, C.J. (1988) Latitudinal comparisons of coral reef structure and function. Proceedings of the 6th International Coral Reef Symposium. 6th International Coral Reef Symposium Executive Committee, Townsville, Australia, Vol. 1, pp. 221-226. Crossland, C.J. (1994), Director's Report-Cooperative Research Center for Ecologically Sustainable Development of the Great Barrier Reef: Annual Report 1993/1994 James Cook University of North Queensland, Townsville, Australia, 43 pp. Grassland, C.J. and Barnes, D.J. (1983) Dissolved nutrients and organic particulates in water flowing over reefs at Lizard island. A us!. J. Mar. Freshwater Res. 34: 835 844. Cuet, P., Nairn, O., Faurc, G. and Conand, J.Y. (1988) Nutrient-rich groundwater impact on benthic communities on la Saline Reef (Reunion Island, Indian Occan): Preliminary results. Proceedings of the 6th International Coral Reef Symposium. 6th International Coral Reef Symposium Executive Committee, Townsville, Australia, Vol. 2, pp. 207 -212. D'Elia, C.F. and Wiebe, W.J. 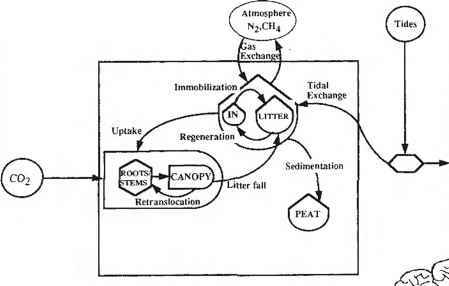 (1990) Biochemical nutrient cycles in coral reef ecosystems. In Dubinsky, Z. (Ed. ): Ecosystems of the World Vol. 25: Coral Reefs Elsevier, Amsterdam, pp. 49 74. D'Elia, C.F., Buddemeier, R.W. and Smith, S.V, (1991) Workshop on coral bleaching, coral reef ecosystems and global change: Report of proceedings. Maryland Sea Grant, 49 pp. di Castri, F. and Younes, T. (1996) Biodiversity, science and development: towards a new partnership. CAB International, Wallingford, 646 pp. Dohcrty, P.J. and Williams, D.M. (1988) The replenishment of coral reef fish populations. Oceanogr. Mar. Biol. Annu. Rev. 26: 487-551. Done, T.J. (1982) Patterns in the distribution of coral communities across the central Great Barrier Reef. Coral Reefs 1: 95-107. Done, T.J. (1983) Coral zonation: Its nature and significance. In Barnes. D.J. (Ed. ): Perspectives on Coral Reefs. Brian Clouston, Manuka. Australia, pp. 107-147. Done, T.J. (1987) Simulation of the effects of Acanthaster planci on the population structure of massive corals in the genus Porites: Evidence of population resilience? Cora! Reefs 6: 75-90. Done, T.J. (1992a) Phase shifts in coral reef communities and their ecological significance. Ifydrobiologia 247: 121-132. Done, T.J. (1992b) Effects of tropical cyclone waves on ecological and geomorpho-logical structures on the Great Barrier Reef. Cont. Shelf Res. 12: 859 872. Done, T.J. (1992c) Constancy and change in some Great Barrier Reef coral communities: 1980-1990. Am. Zool. 32: 665-662. Done, T.J. (1994) Maintenance of biodiversity of coral reefs through management for resilience of populations. In Munro, J.L. and Munro, P.E. (Eds. ): The Management of Coral Reef Resource Systems. ICLARM Conference Proceedings, International Center for Living Aquatic Resources Management, Manila, Philippines, No. 44, pp. 64 65. Done, T.J. and Potts, D.C'. (1992) influences of habitat and natural disturbances on contributions of massive Porites corals to reef communities. Mar. Biol, 114: 479-493. Done, T.J., Dayton, P.K. and Steger, R. (1991) Regional and local variability in recovery of shallow coral communities: Moorea, French Polynesia and centra! Great Barrier Reef. Coral Reefs 9: 183-192. Dustan. P. (1979) Distribution of zooxanthellae and photosynthetic chloroplast pigments of the reef building coral Montastrea annularis (Ellis and Solander) in relation to depth on a West Indian coral reef. Bull. Mar. Sci 29: 79-9.5. Endean, R. and Cameron, A.M. (1990a) Trends and new perspectives in coral reef ecology. In Dubinsky. Z. (Ed. }: Ecosystems of the World, Vol. 25. Coral Reefs. Elsevier, Amsterdam, pp. 469-492. Endean, R. and Cameron, A.M. (1990b) Acanthaster planci population outbreaks. In Dubinsky, Z. (Ed. ): Ecosystems of the World, Vol. 25. Coral Reefs Elsevier, Amsterdam, pp. 419-437. Entsch, B„ Sim. R.G. and Hatcher, B.G. (1983) Indications from photosynthetic components that iron is a limiting nutrient in primary producers on coral reefs. Mar. Biol. 73: 17-30. Furnas, M.J., Mitchell. A.W., Gilmartin, M. and Relevante, N. (1990) Phytoplankton biomass and primary production in semi-enclosed reef lagoons of the central Great Barrier Reef, Australia. Coral Reefs 9: 1—10. Ginsburg, R.N. and Lowenstam, H.A. (1958) The influence of marine bottom communities on the depositional environment of sediments. J. Geol. 66: 310-318. Glynn, P.W. (1973) Ecology of a Caribbean coral reef. The Porites reef-flat biotope. Part II. Plankton community with evidence for depletion. Mar. Biol. 22: 1-21. Glynn, P.W. (1982) Acanthaster population regulation by a shrimp and a worm. Proceedings of the. 4th International Cora! Reef Symposium. Committee on Coral Reefs of the International Association of Biological Oceanographers, Manila, Philippines, 2, pp. 607-612. Glynn, P.W. (1988) El Niño warming, coral mortality and reef framework destruction by echinoderm bioerosion in the eastern Pacific. Gaiaxea 7: 129-160. Glynn, P.W. (1989) Predation on coral reefs: Some key processes, concepts and research directions. Proceedings of the 6th International Cora! Reef Symposium. 6th International Coral Reef Symposium Executive Committee, Townsville, Australia, Vol. 1, pp. 51-62. Glynn, P.W. (1990) Coral mortality and disturbances to the coral reefs of the tropical eastern Pacific. In Glynn, P.W. (Ed. ): Global Ecological Consequences of the ¡982 83 El Niño Southern Oscillation. Elsevier Oceanography Series. Vol. 52. Elseveir, Amsterdam, pp. 55-126. Glynn. P.W. and de Weerdt, W.H. (1991) Elimination of two reef-building hydro-corals following the 1982-83 El Niño warming event. Science 253: 69-71. Grassle, J.F. (1973) Variety in coral reef communities. In Jones, O.A. and Endean, R. (Eds. ): Biology and Geo log v of Coral Reefs II. Biology /. Academic Press, New York, pp. 247 270. Grassle, J.F., Lasserre, P.. Mclntyre, A.D. and Ray, G.C. (1990) Marine biodiversity and ecosystem function. Biol. Int. 23: 19. Grigg, R.W. (1994) Effects of sewage discharge, fishing pressure and habitat complexity on coral reef ccosystems and reef fishes in Hawaii. Mar. Eco!. Prog. Ser. 103: 25-34. Grigg, R.W., Polovina, J.J. and Atkinson, M.J. (1984) Model of a coral reef ecosystem III. 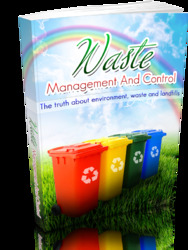 Resource limitation, community regulation, fisheries yield and resource management. Coral Reefs 3: 23-27. Guan, Y., Sakai, R., Rinehart, K.L. and Wang, A.H. (1993) Molecular and crystal structures of ecteinascidins: Potent antitumor compounds from the Caribbean tunicate Ecteinascidia turbinata. J. Biomol. Struct. Dyn. 10: 793 818. Hallock, P. (1987) Fluctuations in the trophic resource continuum: A factor in global diversity cycles? Paleoceanography 2: 457 471. Hallock, P. and Schlager, W. (1986) Nutrient cxcess and the demise of coral reefs and carbonate platforms. Palaios 1: 389 398. Hamner, W.M., Jones, M.S., C'arleton, J.H., Hauri, I.R. and Williams, D.McB. (1988) Zooplankton, planktivorous fish, and water currents on a vvindward reef face: Great Barrier Reef, Australia. Bull. Mar. Sci. 42: 459-479. Hansen, J.A., Alongi, D.M., Moriarty, D.J.W. and Pollard, P.C. (1987) The dynamics of benthic microbial communities at Davies Reef, central Great Barrier Reef. Coral Reefs 6: 63-70. Hatcher, B.G. 0983). Grazing in coral reef ecosystems. In Barnes, D.J. (Ed. ): Perspectives on Coral Reefs Brian Clouston, Manuka, Australia, pp. 164-179. Hatcher, B.G. (1988) Coral reef primary productivity: A beggar's banquet. Trends Ecol. Evol. 3: 106-111. Hatcher, B.G. (1990) Coral reef primary productivity: A hierarchy of pattern and process. Trends Ecol. Evol 5: 149-155. Hopley, D. (i 982) Geomorphology of the Great Barrier Reef. Wiley Interscience, New York, 453 pp. Hughes, T.P. (1989) Community structure and diversity of coral reefs: The role of history. Ecology 70: 275-279. Hughes, T.P. (1994) Catastrophes, phase shifts and large-scale degradation of a Caribbean coral reef. Science 265: 1547 -1551. Hughes, T.P., Ayre, D. and Connell, J.H. (1992) The evolutionary ecology of corals. Trends Ecol. Evol. 7: 292-295. Hutchings, P.A. (1986) Biological destruction of coral reefs: A review. Coral Reefs 4: 239-252. Jablonski, D. (1993) The tropics as a source of evolutionary novelty through geological time. Nature 364: 142-144. Jackson, J.B.C. (1994) Constancy and change of life in the sea. Philos. Trans. R. Soc.. Ser. B 344: 55-60. Jackson, J.B.C., Cubit, J.D., Keller, B.D., Batista, V., Burns, K., CafTey, H.M., Caldwell, R.L., Garrity, S.D., Getter, C.D.. Gonzales, C., Guzman, H.M., Kaufmann, K.W., Knap, A.H., Levings, S.C., Marshall, M.J., Steger, R., Thompson, R.C. and Weil, E. (1989) Ecological effects of a major oil spill on Panamanian coastal marine communities. Science 243:37 44. Johannes, R.E. (1975) Pollution and degradation of coral reef communities. In Ferguson-Wood, E.J. and Johannes R.E. (Eds. ): Elsevier Oceanography Series. Vol. 12. Tropical Marine Pollution. Elsevier, New York, pp. 15-51. Johannes, R.E., Alberts, J., D'EJia, C., Kinzie, R.A., Pomeroy, L.R., Sotti)e, W„ Wiebe. W.J., Marsh, J.A., Jr., Helfrich, P., Maragos, J., Meyer, J., Smith, S., Crabtree. D., Roth, A., McCIosky, L.R., Betzer, S., Marshall, N„ Pilson, M.E.Q., Tclek, G., Clutter, R.I., DuPaul, W.I., Webb, K.L. and Wells, J.M., Jr. (1972) The metabolism of some coral reef communities: A team study of nutrient and energy flux at F-niwetok. Bioscience 22: 541-543. Johnson, C.R. and Preece, A.L. (1993) Damage, scale and recovery in model coral communities: The importance of system state. Proceedings of the 7th International Coral Reef. Symposium. Committee on Coral Reefs of the International Association of Biological Oceanographers, Mangilao, Guam, Vol. 1, pp. 606 615. Johnson, C.R.. Klumpp, D.W., Field, J. and Bradbury, R.H. (1995) Carbon flux on coral reefs: Effects of large shifts in community structure. Mar. Ecol. Prog. Ser. 126: 123-143. Kaufman, L. (1977) The threespot damselfish: Effects on benthic biota of Caribbean coral reefs. Proceedings of the 3rd International Coral Reef Symposium. Committee on Coral Reefs of the International Association of Biological Oceanographers, Miami, USA, Vol. 1, pp. 559-564. Keesing, J.K. and Lucas, J.S. (1992) Field measurement of feeding and movement rates of crown-of-thorns starfish Acanthaster planci (L.) J. Exp. Mar. Biol. Ecol. 156:89-104. Kelleher, G. (1994) Can the Great Barrier Reef model of protected areas save reefs worldwide? In Ginsburg, R.N. (Compiler): Proceedings of the Colloquium on Global Aspects of Coral Reefs: Health, Hazards and History, 1993. Rosensîeil School of Marine and Atmospheric Science, University of Miami, pp. 346 -352. Kcnchington, R.A. and Agardy, M.T. (1989) Achieving marine conservation through biosphere reserve planning. Environ. Conserv. 17: 39 44. Kinsey, D.W. (1985) Metabolism, calcification and carbon production. I. System level studies. Proceedings of the 5th Internationa! Coral Reef Symposium. Antenne Museum-EPHE. Moorea, Frcnch Polynesia, Vol. 4, pp 505-526. Kinsey, D.W. (1988) Coral reef system response to some natural and anthropogenic stresses. Galaxea 7; 113-128. Kinsey, D.W. (1991) The coral reef: An owner-built, high-density, fully serviced, self-sufficient, housing estate in the desert: Or is it? Symbiosis !0: 1-22. Klumpp, D.W., McKinnon, D. and Daniel, P. (1987) Damselfish territories: Zones of high productivity on coral reefs. Mar. Ecol. Prog. Ser. 40: 42-51. Knowlton, N. (1992) Thresholds and multiple stable states in coral reef community dynamics. Am. Zoo!. 32: 674-682. Knowlton, N. and Jackson, J.B.C. (1994) New taxonomy and niche partitioning on coral reefs. Trends Eco!. Evol. 9: 7-12. Knowlton, N., Weil, E„ Weight, L.A. and Guzman, H.M. (1992) Sibling species in Montastrea annularis, coral bleaching, and the coral climate record. Science 255: 330-333. Kuhlmann, D.H.H. (1988) The sensitivitv of coral reefs to environmental pollution. Ambio 17: 13-21. Lapointe, B.E. (1989) Caribbean coral reefs. Are they becoming algal reefs? Sea Frontiers 35: 82-91. Lapointe, B.E. and O'Connell, J.D. (1989) Nutrient-enhanced growth of Cladophora proliféra in Harrington Sound. Bermuda: Eutrophication of a confined, phosphorous-limited marine ecosystem. Estuarine, Coastal Shelf Set. 28: 347-360. Lessios, H.A. (1988) Mass mortality of Diadema antillarum in the Caribbean: What have we learned? Artnu. Rev. Ecol. Syst. 19: 371-393. Littler, M.M. and Littler, D.S. (1985) Factors controlling relative dominance of primary producers on biotic reefs. Proceedings of the 5th International Coral Reef Congress. Antenne Museum-EPHE, Moorea, French Polynesia, Vol 4, pp. 35-39. Lobel, P.S. (1980) Herbivory by damselfishes and their role in coral reef community ecology. Bull, Mar. Sci. 30: 273-289. Macintyre, I.G. and Marshall, J.F. (1988) Submarine lithification in coral reefs: Some facts and misconceptions. Proceedings of the 6th International Coral Reef Symposium. 6th international Coral Reef Symposium Executive Committee, Townsville, Australia. Vol. 1, pp. 263-272. Marshall, J.F. (1985) Cross-shelf and facies-related variations in submarine lithification in the central Great Barrier Reef. Proceedings of the 5th International Coral Reef Symposium. Antenne Museum-EPHE, Moorea, French Polynesia, Vol. 3, pp. 221-226. Massel, S.R. and Done, T.J. (1993) Effects of cyclone waves on massive coral assemblages on the Great Barrier Reef: Meteorology, Hydrodynamics and demography. Coral Reefs 12: 153-166. McClanahan, T.R. and Muthiga, N.A. (1988) Changes in Kenyan coral reef community structure and function due to exploitation. Hydrobiologia 166: 269-276. McClanahan, T.R. and Muthiga, N.A. (1989) Patterns of prédation on a sea urchin, Echinometra mathaei (de Blainville), on Kenyan coral reefs. J. Exp. Mar. Biol. Ecol. 126: 77-94. Miller. EC.J. (1994) Morphological variation in the coral genus Platygyra: Environmental influences and taxonomie implications. Mar. Ecol. Prog. Ser. lit): 19-28. Moran, P.J. (1986) The Acanthaster phenomenon. Oceanogr. Mar. Biol. Annu. Rev. 24: 379-480. Munro, J.L. and Williams, D.McB. (1985) Assessment and management of coral reef fisheries: Biological, environmental and socioeconomic aspects. Proceedings oj the 5 th International Coral Reef Congress. Antenne Museum-F.PHE, Moorea, French Polynesia, Vol. 4, pp. 543 578. Odum. E.P. (1971) Fundamentals of Ecology. W.B. Saunders, Philadelphia, PA, 574 pp. Odum, H.T. and Odum, E.P. (1955) Trophic structure and productivity of a windward coral reef community on Eniwctok Atoll. Ecol. Monogr. 25: 295-320. Ogden, J.C. (1987) Cooperative coastal ecology at Carribean marine laboratories. Oceanus 30: 9-15. Ogden. J.C. (1988) The influence of adjacent systems on the structure and function of coral reefs. Proceedings of the 6th International Coral Reef Symposium. 6th International Coral Reef Symposium Executive Committee, Townsville, Australia, Vol. I, pp. 123-129. Ogden, J.C. and Gladfclter, E.H. (Eds) (1983) Coral reefs, seagrass beds and mangroves: Their interaction in the coastal zones of the Caribbean. UNESCO Reports in Marine Science. Montivideo, Uruguay, Vol. 23, 133 pp. Ogden, J.C., Brown, R.A. and Salesky, N. (1973) Grazing by the echinoid Diadema antillarum Philippi: Formation of halos around West Indian patch reefs. Science 182: 715-717. Oliver, J.K. and Willis, B.L. (1987) Coral-spawn slicks in the Great Barrier Reef: Preliminary observations. Mar. Biol. 94: 521 529. Ormond, R.F.G., Bradbury, R.H., Bainbridge, S„ Fabncius, K., Keesing. J.. De Vantier, L.M., Medlay, P. and Steven, A. (1990) Test of a model of regulation of crown-of-thorns starfish by fish predators. In Bradbury, R.H. (Ed. ): Acanthaster and the Coral Reef: A Theoretical Perspective. Springer, Berlin, pp. 189-207. Pandolfi, J.M. (1992) Successive isolation rather than evolutionary centers for the origination of Indo-Pacific reef corals. J. Biogeogr. 92: 593-609. Planes, S. (1993) Gcnetic differentiation in relation to restricted larval dispersal of the convict surgeonfish Acanthurus triostegus in French Polynesia. Mar. Ecol. Prog. Ser. 98: 237-246. Pomeroy, L.R., Pilson, M.E.Q. and Wiebe, W.J. (1974) Traccr studies of the exchange of phosphorous between reef water and organisms on the windward reef of F.niwetok Atoll. Proceedings of the 2nd International Coral Reef Symposium. The Great Barrier Reef Committee, Brisbane, Australia, Vol. 1, pp. 87-96. Potts, D.C. and Garthvvaite, R.L. (1991) Evolution of reef-building corals during periods of rapid global change. In Dudley, E.C. (Ed. ): The Unity of Evolutionary Biology. Vol. 1. Discorides Press, Portland, Oregon, pp. 170-178. Preece, A.L. and Johnson, C.R. (1993) Recovery of model coral communities: Complex behaviours from interaction of parameters operating at different spatial scales. In Green, D.G. and Bossomaier, T. (Eds): Complex Systems: From Biology to Computation. IOS Press, Amsterdam, pp. 69-81. Ray, G.C. and Grassle, .J.F. (1991) Marine biological diversity. Bioscience 41: 453-457. Robertson, D.R. (1982) Fish feces as fish food on a Pacific coral reef. Mar. Ecol. Prog. Ser. 7: 253-265. Rogers, C.S. (1993) Hurricanes and coral reefs: The intermediate disturbance hypothesis revisited. Coral Reefs 12: 127-137. Rougheric, F. and Wauthy, B. (1993) The endo-upwelling concept: From geotherma! convection to reef construction. Coral Reefs 12: 19-30. Rowan, R. and Knowlton, N. (1995) Intraspecific diversity and ecological 70nation in coral-algal symbiosis. Proc. Natl. Acad. Sci. 92: 2850-2853. Rowan, R. and Powers, D.A. (1991) A molecular genetic classification of zooxanthellae and the evolution of animal-algal symbiosis. Science 251: 1348-1351. Russ, G.R. (1984a) Distribution and abundance of herbivorous grazing fishes in the central Great Barrier Reef. I. Levels of variability across the entire continental shelf. Mar. Ecol. Prog. Ser. 20: 23-34. Russ, G.R. (1984b) Distribution and abundance of herbivorous grazing fishes in the central Great Barrier Reef. II. Patterns of zonation of mid-shelf and outer shelf reefs. Mar. Ecol. Prog. Ser. 20: 35 44. Sakai, K. and Nishihira, M. (1991) Immediate effect of terrestrial runoff on a coral community near a river mouth in Okinawa. Galaxea 10: 125-134. Sale, P.F. (1991) Reef fish communities: Open non-equilibria! systems. In Sale. P.F. (Ed. ): The Ecology of Fishes on Coral Reefs. Academic Press, New York, pp. 564-598. Sal vat, B. (Ed.) (1987) Human Impacts on Cora! reefs: Facts and Recommendations. Antennc Museum Ecole Pratique des Hautes Etudes, French Polynesia, 253 pp. Sammarco, P.W. (1981) Escape response and dispersal in an Indo-Pacific coral under stress: "Polyp bail-out". Proceedings of the 4th Internationa! Coral Reef Symposium. Committee on Coral Reefs of the International Association of Biological Oceanographers, Manila, Philippines, Vol. 2, p. 194. Sammarco. P.W. (1982) Effects of grazing by Diadema untiHarum phillippi (Echino-dermata: Echinoidea) on algal diversity and community structure. J. Exp. Mar. Biol. Ecol 65: 83-105. Scoffin, T.P. (1987) An Introduction to Carbonate Sediments and Rocks. Btackic. Glasgow. Scoffin, T.P. (1993) The geological effects of hurricanes on coral reefs and the interpretation of storm deposits. Cora! Reefs 12: 203-221. Sebens, K.P. and Johnson, A.S. (1991) Effects of water movement on prey capture and distribution of reef corals. Hydrobiologia 226: 91-101. Smith, S.V. (1978) Coral-reef area and the contributions of reefs to processes and resources of the world's oceans. Nature 273: 225-226. Smith, S.V. (1983) Coral reef calcification. In Barnes, D.J. (Ed. ): Perspectives on Coral Reefs. Brian Clouston, Manuka, Australia, pp. 240-247. Smith S.V. and Buddemeier, R.W, (1992) Global change and coral reef ecosystems. Annu. Rev. Ecol. Syst. 23: 89-118. Smith, S.V., Kimmerer, W.J., Laws, E.A.. Brock, R.E. and Walsh, T.W. (1981) Kaneohe Bay sewage diversion experiment: Perspectives on ecosystcm responses to nutritional perturbation. Pac. Sci. 35: 279-395. Springer, V.G. (1982) Pacific plate biogeography. with special reference to shorefishes. Smithson. Contrib. Zool. 367: 1-181. Stoddart, J.A. (1983) Asexual production of planuiae in the coral Pocillopora damicornis. Mar. Biol. 76: 279-284. Sutton, M. (1983) Relationships between reef fishes and coral reefs. In Barnes, D.J. (Ed. ): Perspectives on Coral Reefs. Brian Clouston, Manuka, Australia, pp. 248-255. Thresher, R.E. (1991) Geographic variability in the ecology of coral reef fishes: F.vidcnce, evolution and possible implications. In Sale, P.F. (Ed. ): The Ecology of Fishes on Coral Reefs. Academic Press, New York, pp. 401-436. Tomascik, T. and Sander, F. (1985) Effects of eutrophication on reef-building corals. I. Growth rate of the reef-building coral Montastrea annularis. Mar. Biol. 87: 143-156. Tomascik, T. and Sander, F. (1987a) Effects of eutrophication on reef-building corals. II. Structure of scleractinian coral communities on fringing reefs, Barbados, West Indies. Mar. Biol. 94: 53-76. Tomascik, T. and Sander, F. (1987b) Effects of eutrophication on reef-building corals. III. Reproduction of the reef-building coral I'orites porites. Mar. Biol. 94; 77-94. Trench. R.K. (1987) Dinoflagellates in non-parasitic symbioses. In Taylor, F.J.R. (Ed. ): The Biology of Dino,flagellates. Blackweli Scientific, Oxford, pp. 530-570. UNEP/IUCN (1988) Coral Reefs of the World (3 Volumes). UNEP Regional Seas Directories and Bibliographies. IUCN, Gland, Switzerland and Cambridge, UK/ UNEP, Nairobi, Kenya. Veron, J.E.N. (1986) Corals of Australia and the Jndo-Pacific. Angus and Robertson, Australia, 644 pp. Veron, J.E.N. (1996) Corals in space and time: the biogeography and evolution of the Scleractinia. University of New South Wales Press, Sydney, Australia, 321 pp. Wilkinson, C.R. (1986) The nutritional spectrum of coral reef benthos. Oceanus 29: 68 -75. Wilkinson, C.R. (1993) Coral reefs of the world are facing widespread devastation. Can we prevent this through sustainable management practices? Proceedings of the 7ih international Coral Reef Symposium. Committee on Coral Reefs of the international Association of Biological Oceanographers, Mangilao, Guam, Vol. I, pp. 11-21. Wilkinson, C.R. and Cheshire, A. (1989) Cross-shelf variations in coral reef structure and function: Influences of land and ocean. Proceedings of the 6th International Coral Reef Symposium. 6th International Coral Reef Symposium Executive Committee, Townsville, Australia, Vol. 1, pp. 227 233. Williams, D.McB. (1982) Patterns in the distributions of fish communities across the central Great Barrier Reef. Coral Reefs 1: 35-43. Williams, D.Mc.R. (1986) Temporal variation in the structures of reef slope fish communities (central Great Barrier Reef): short-term effects of Acanthaster plunce infestation. Mar. Ecol. Prog. Ser, 28: 157 164. Williams, D.McB. and Hatcher, A.I. (1983) Structure of fish communities on outer slopes of inshore, mid-shelf and outer shelf reefs of the Great Barrier Reef. Mar. Ecol. Prog. Ser. 10: 239-250. Williams, E.H. and Bunkley-Williams, L. (1990) The world-wide coral reef bleaching cycle and related sources of coral mortality. Atoll Res. Bull. 331: 1-17. Wolanski, E. (1994) Physical Oceanographic Processes of the Great Barrier Reef CRC Press, Boca Raton, FL, 194 pp. Woodley, J., Chornesky, E., Clifford, P., Jackson, J., Kaufman, L., Knowlton, N., Lang, J., Pearson, M., Porter J., Rooney, M., Rylaarsdam, K., Tunnicliffe, V., Wahle, C., Wulff, J., Curtis, A., Dallmeyer, M„ Jupp, B„ Koehl, M., Neigel, J. and Sides, E. (1981) Hurricane Allen's impact on Jamaican coral reefs. Science 214: 749-755.